Apex Vitality Serum of Life Review: Does it Work? “Look up to 10 years younger in just four weeks” — This is a label that will capture the attention of men and women, regardless if they indeed have aging skin or not. After all, who does not want to look visibly and noticeably more youthful? Perhaps most wrinkle creams are qualified to deliver on this promise, most especially with significant improvements in skincare, albeit the level and modes of delivery varies widely. Often times, the frustration people experience from their wrinkle products are borne by unrealistic expectations. Frankly, the positive effects of wrinkle products on aging skin remain to be very minute to relatively moderate. Apex Vitality draws on very tiny molecules of peptides, vitamins and antioxidants to fulfill its promise of achieving young-looking skin with Serum of Life. This product’s contents are specially formulated to accomplish two primary goals. 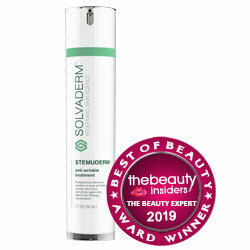 Serum of Life’s first goal is to boost collagen levels and speed up skin repair and rejuvenation processes. Its second goal is to promote the more efficient repair of damages in your skin matrix while also strengthening your skin’s outer walls. The Apex Vitality Serum of Life is exclusively available online for $54. Methylsulfonylmethane (MSM) or sulfur, perks up the skin’s amino acid content, and specifically promotes rebuilding and reconstruction of the skin’s epidermis. Wash face with a gentle cleanser. Pat dry. Apply Apex Vitality Serum of Life on your face, neck and décolleté. Gently massage the product into skin until fully absorbed. Routinely use the product twice daily and continuously to see visible results sooner. 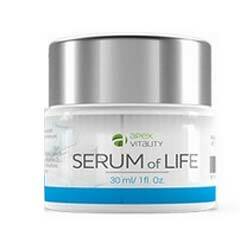 The Apex Vitality Serum of Life has a modest line up anti-wrinkle ingredients. These ingredients do give the skin an instantly moisturized feel. However, it is doubtful whether these positive product effects have a lasting impact on the appearance of your wrinkles. Among the product drawbacks is that the Serum of Life is more expensive by more than twice its drugstore counterparts. Yet, at the same time, the wrinkle solutions offered are quite basic and ordinary. Product credibility is also difficult to establish, given the lack of sufficient product information and the lack of information about the manufacturer..
Wrinkles are very challenging skin problems to tackle. Very few people will leave wrinkles and just wait for them to show up. Most of us, however, will even resort to force opportunities to delay and reverse signs of skin aging. Serum of Life feeds on the promise of youth. If you think it can give you a viable option to improve the appearance of wrinkles, try it. When there’s doubt. simply skip.